Free shipping. Buy direct from HP. See customer reviews and comparisons for the HP PageWide Enterprise 3x500 sheet Paper Tray and Stand. Upgrades and savings on select products. Expand your capacity and let large print jobs handle themselves. This accessory adds 1500 sheets capacity to your printer to meet high-volume demands. With a total capacity of 1500 sheets, this input accessory helps you save time because you don't have to stop and reload paper. Get back to business quickly—multiple trays means you can designate a tray for each media type, so no more switching media. Print more pages without having to reload paper. 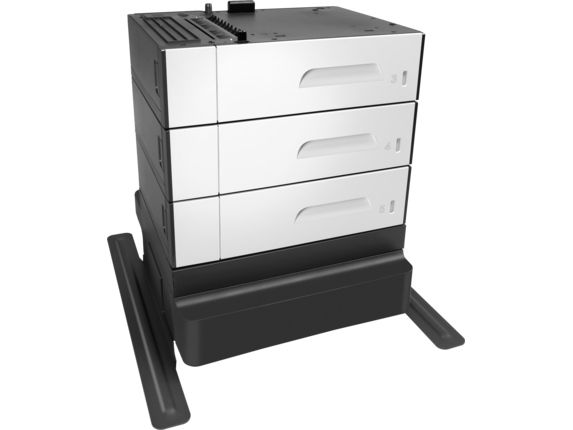 With three 500-sheet trays, this paper input accessory has total of 1500-sheet capacity. 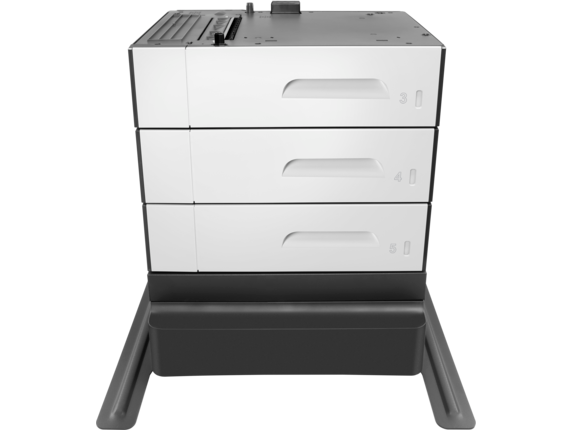 Meet high-volume demands—this accessory adds 1500 sheets input capacity to your printer. Save time - large capacity input saves time reloading paper. No more switching media - multiple trays means you can designate a tray for each media type.